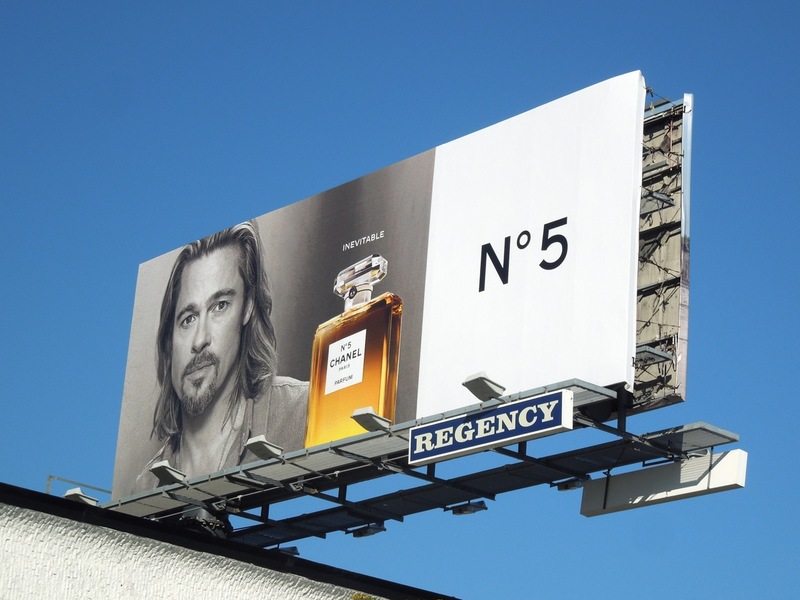 Behold the first male face of Chanel No.5 perfume, and what a handsome face it is. 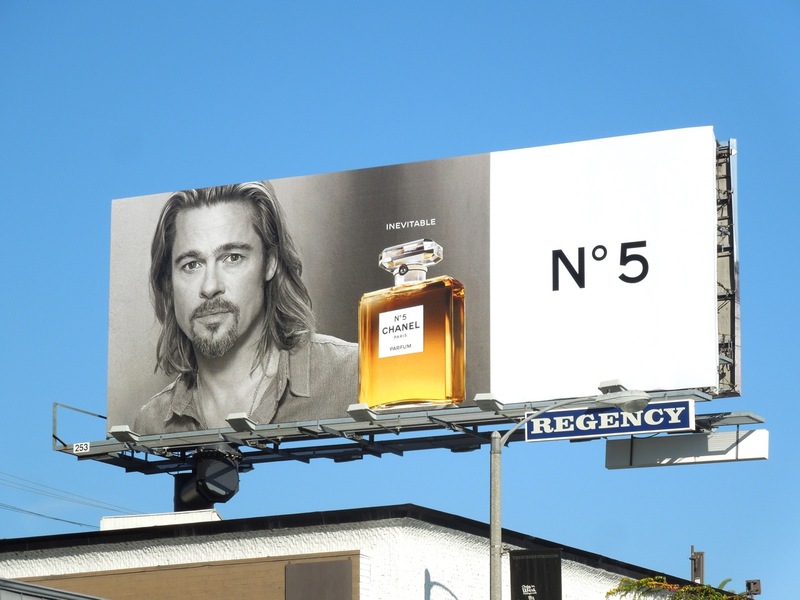 If you're not a fan of Brad Pitt's rambling 'Inevitable' TV commercial, then at least this billboard featuring the heartthrob actor is something pretty to look at instead. 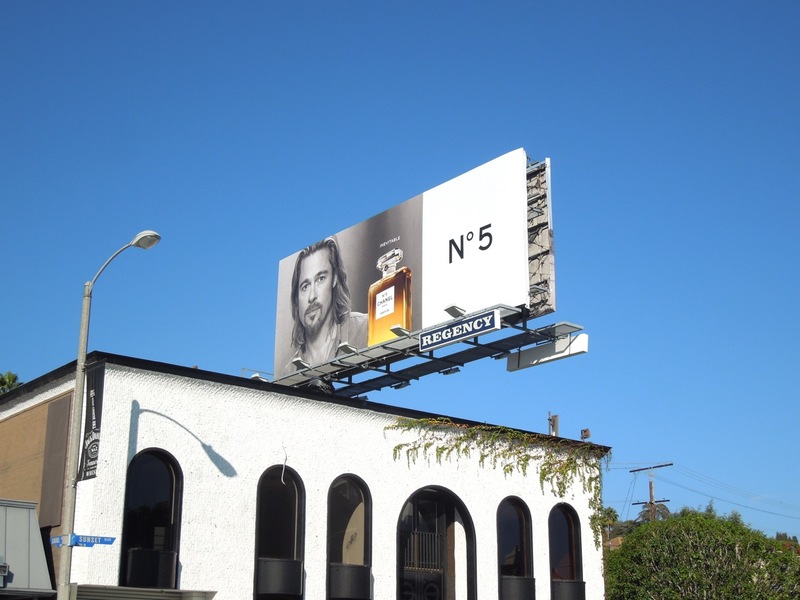 This luxury fragrance billboard was snapped along Sunset Boulevard in West Hollywood on November 3, 2012. 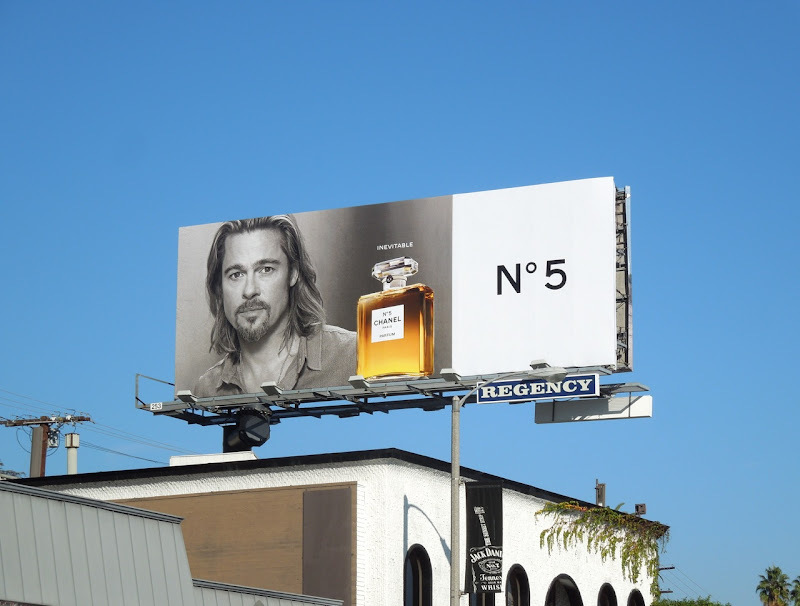 Plus if you like this, take a look at all these other fragrance billboards featuring celebrities like Alexander Skarsgard, Blake Lively, Lady Gaga, Rihanna, James Franco, Keira Knightley, Chris Evans and more besides.